As most new cars now have air conditioning,to make sure our customers receive the service they have come to expect from us we can now offer AIR CONDITIONING service and repair. From a simple regas to pipe and component replacement we are the ones to choose. 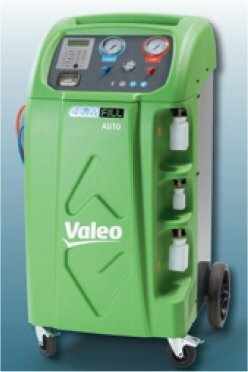 not only do we have the latest fully automatic machine from valeo we also have a full nitrogen pressure testing kit to make sure that valuable gas does not escape harming the ozone layer & your wallet. Air conditioning service is becoming a large part of vehicle repair these days with almost all new cars having it as standard and manufacturers recomending at least a 3 yearly service as the gas has a natural wasteage.